Some things are on everybody’s mind. Let’s deal with them here. If you don’t find the answer to your particular question, just click on the contact button. My office will do its best to respond quickly. 1. I need some quick cash, do you have an ATM? 2. I’d like to freshen up my English/French. Do you have tutors? 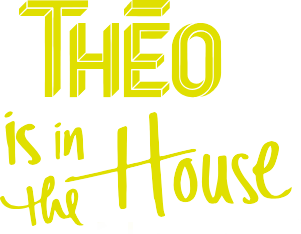 Come talk to us in your THÉO office should you have any questions in regards to language classes, resources, tutors or centers. We’d love to help you enjoy your time in Ottawa and help you communicate accurately and freely in both official languages. 3. I am under the weather and would like to go see a doctor. Where do I go? Come see us in the office where we can provide you with recommendations to hospitals, family doctors accepting new patients and walk-in clinics within close by proximity for all your health needs. 4. What is there to do in Ottawa? Ottawa is full of cool attractions. Why not take a stroll in the market? Or go see Parliament? Being downtown has so many benefits. You are a short walk/bike/taxi away from everything. Ask our office for a list of attractions within 30 minutes from Theo, you won’t be disappointed. 5. How can I get around? Being right downtown in the core, we have many transportation options for you. Why not rent one of our bikes? Or take a short walk to Rideau Centre, where you can take a bus anywhere in the city. Looking for something quick? The security desk can call you a taxi or show you how to call a Uber.. so many choices!